Gum disease is caused by a sticky film of bacteria called plaque. Plaque is always forming on your teeth, but if they aren't cleaned well, the bacteria use the calcium in our mouths to harden the plaque in to calculus and can cause your gums to become inflamed. When this happens, your gums will pull away from your teeth and form spaces called pockets. Calculus then gets trapped in these pockets and cannot be removed with regular brushing. If untreated, gum disease could lead to bone and tooth loss. If gum disease is caught early and hasn't damaged the structures below the gum line, a professional cleaning or prophy should do. If the pockets between your gums and teeth are too deep, however, scaling and root planing is needed. Scaling and root planing has two parts. Scaling is the mechanical removal of plaque and calculus above and below the gumline, making sure to clean all the way down to the bottom of the pocket. Root planing is the smoothing out your teeth roots to help your gums reattach to your teeth. Scaling and root planing may take more than one visit to complete and may require a local anesthetic. A July 2015 study in the Journal of the American Dental Association found that scaling and root planing is beneficial to patients with chronic periodontitis (gum disease that has advanced past gingivitis). Chronic periodontitis affects 47.2% of adults over 30 in the United States. We are proud to offer scaling and root planning for the comfort of our patients! 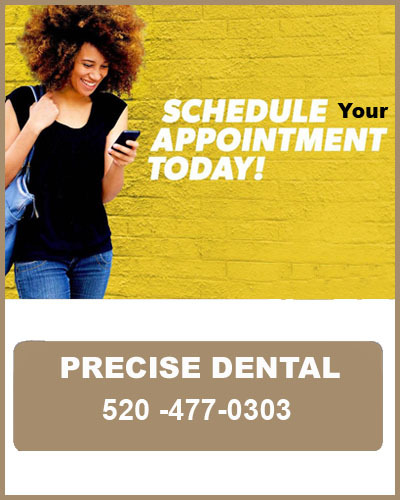 Call 520-477-0303 for more information.